Hi, I'm Brigit, founder of Biddy Tarot, and I'm here today with the Monthly Tarot Forecast for April 2017. 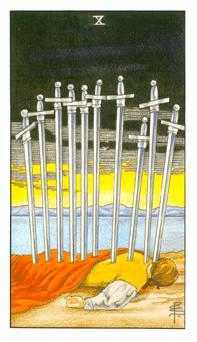 There is a little bit of pain associated with the Ten of Swords, but this is like the darkest hour before dawn. 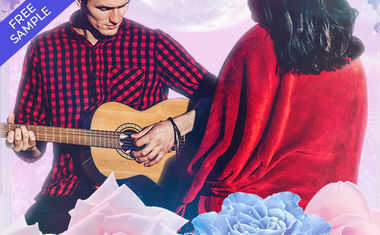 Maybe it's a relationship that's been struggling for many, many months and it's time to rip the bandage off and say, "You know what? We're not suited to each other." Then you feel that great sense of relief afterwards, as a result of having let go of that relationship. It might be the same for a job -- leaving the job you think, "Oh my goodness, where am I going to get money from? How am I going to survive?" But you just go, "You know what, I've just got to do it." And then you do it, and you feel that sense of freedom again. 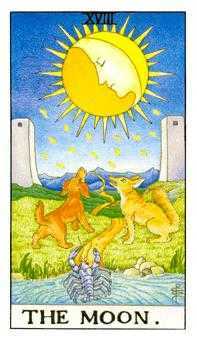 So think about how this card might be playing out in your life this month. 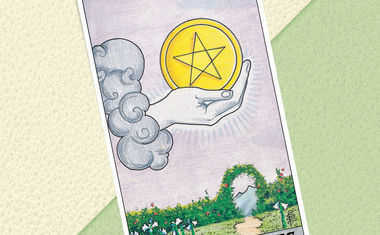 Our Challenges this month are represented in The Moon reversed. If you recall, last month we had The Moon in the upright position as a Blessing. It's that place where you've not traveled before, and sometimes it can be a little bit confronting as you realize different parts of yourself and you're like, "Ah, that feels a bit uncomfortable." So the Challenge this month is dealing with some of that discomfort around those darker aspects of yourself. It might stir up some really old emotions that have been sitting there for a while, and that might feel like your Challenge. But in order to turn this into an opportunity, you need to really confront that head-on. If you're feeling fear surfacing or anxiety in any way, really deal with it, don't run away from it hoping it'll go back into the depths of your subconscious. The more you deal with it, the more you can start to release some of those negative emotions. OK so what's our recommended course of action for this month? 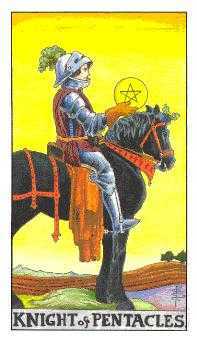 I've got the Knight of Pentacles reversed. I see this guy as like the Knight of routine and doing things a very set way, every single time. But this month, it's encouraging you to shake things up a little bit. All those routines that you've had in place in the past -- maybe try doing something different. Think about your life right now, and what kinds of routines need a bit of a shake-up so that you can re-engage with them and enjoy them that much more.